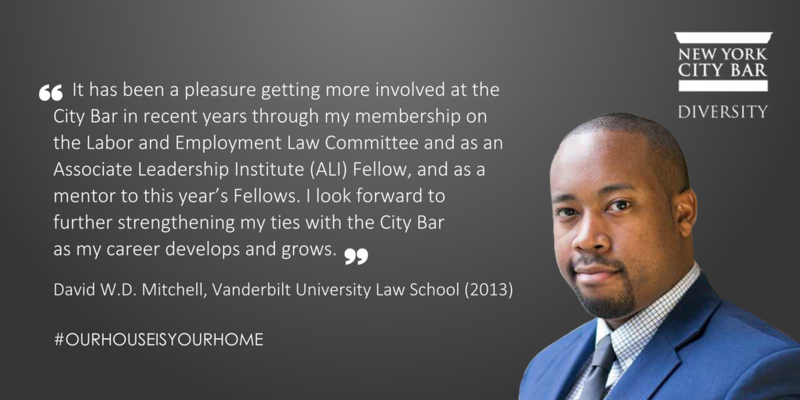 "Our House Is Your Home" celebrates the professional journeys of students who have walked through the House of the Association as City Bar Pipeline program participants. 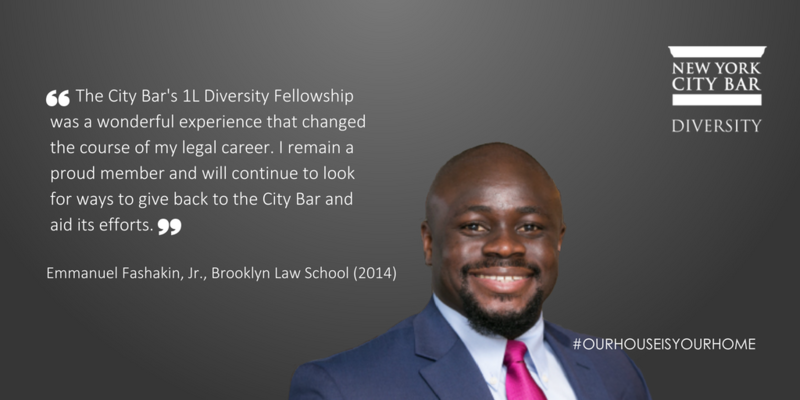 In the profiles, featured alumni share their first experiences at the City Bar, how mentors have played a role in their professional and personal development, and what advice they would give to their younger selves. 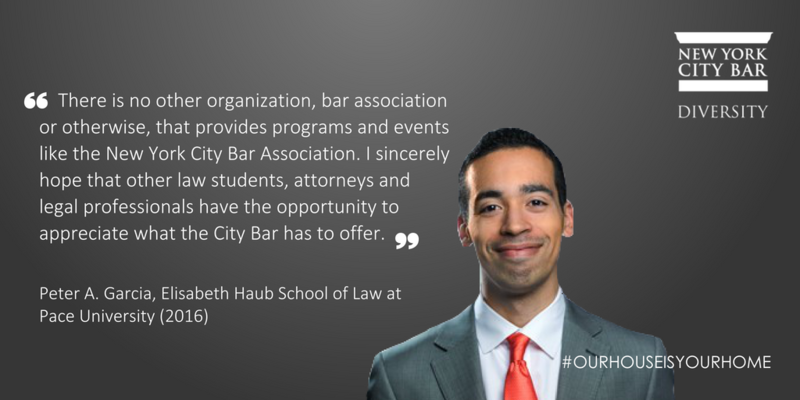 For many students, engagement with the City Bar began in high school through the Thurgood Marshall Summer Law Internship Program and now continues, as practicing attorneys, in the form of City Bar committee service. 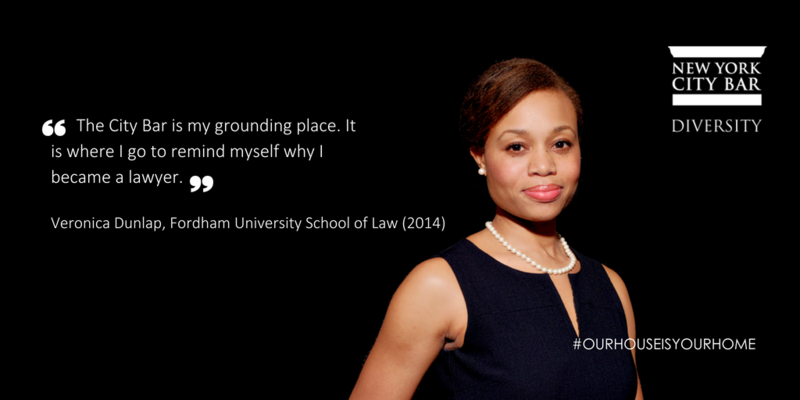 Follow the #OurHouseIsYourHome stories on Twitter and LinkedIn. 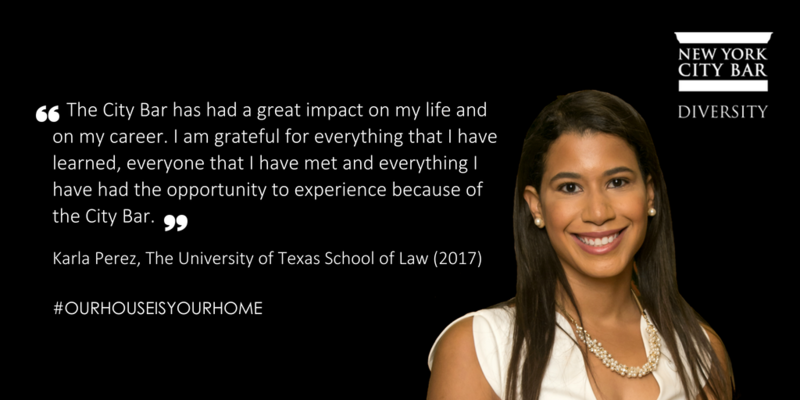 To learn more about the programs our alumni participated in, please visit the Diversity Pipeline Initiatives page. 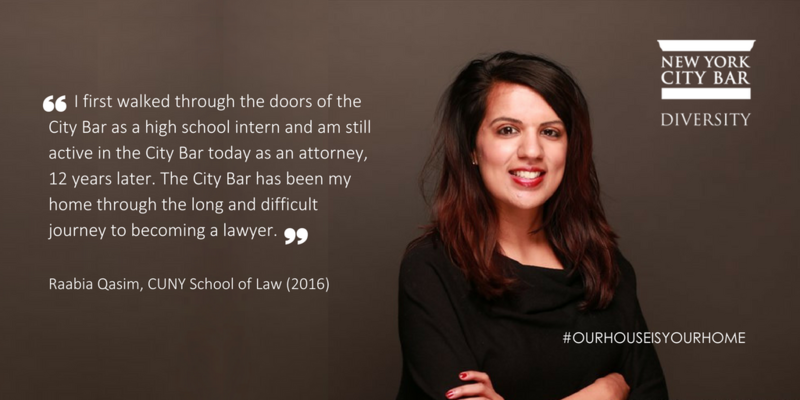 You can help strengthen pipeline programming and opportunities for the next generation of legal professionals by donating to the #OurHouseIsYourHome campaign at bit.do/citybar18 or by texting CITYBAR18 to 91999.